Do You Wear Your Dentures To Bed? Home | Dentures, Oral Health, Oral Hygiene, Oral-Systemic Health, Patient Education | Do You Wear Your Dentures To Bed? 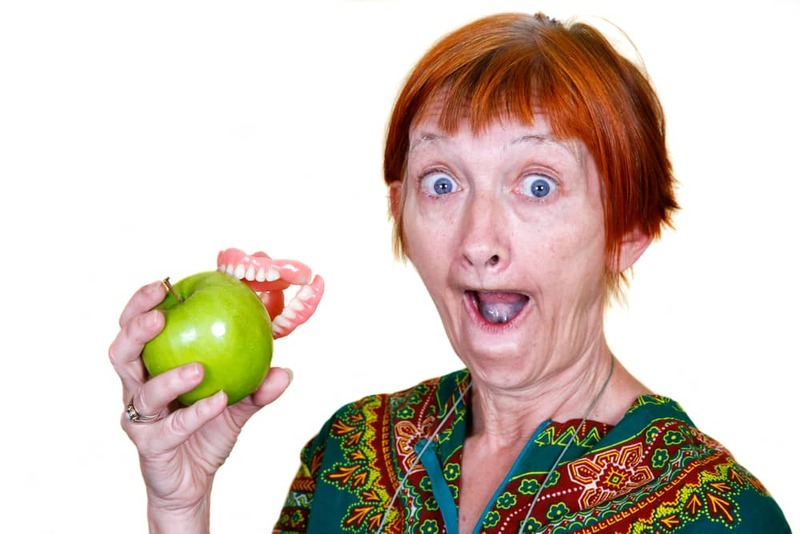 For denture wearers, wearing dentures to bed is the same as people with natural teeth not brushing before bedtime. It just seems the easy thing to do. However, just as not brushing before bed can be damaging to your oral and dental health, wearing your dentures to bed can be damaging to your physical health.Read on as your Reno dentists, Dr. William Wager and Dr. Brian Evans explain why you shouldn’t wear your dentures to bed. Do you wear your dentures to bed? If so, why? Are they so comfortable you forget you have them in? Or are you just too tired to take them out and give them their nightly cleaning? It’s true today’s dentures may be so comfortable you can wear them to bed, but wearing them to bed can compromise your health. According to a study published in the Journal of Dental Research those denture wearers who sleep with their dentures in, are twice as likely to develop pneumonia. The study lasted three years and followed 524 men and women. Forty one percent slept with their dentures in at night. The study found that the 41 percent who slept with their dentures in were twice as likely to develop pneumonia. Throughout the three years there were 20 deaths and 28 hospitalizations due to pneumonia. The average age of study participants was 88. For all of these reasons, dentures should not be worn while sleeping, and these areas should also be routinely cleaned to avoid gum irritation, additional bone loss, and tissue loss.